To start out, I begin with Vallejo Chocolate Brown, thinned. Then I take a round brush and start dabbing it along the edges and inside the creases. If I have to, I follow up with another layer to make it more opaque. 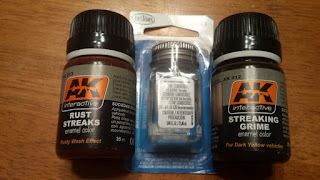 Then I start adding red to the brown and dab it over top of the previous brown. This is followed with a bit of orange mixed with brown and then also dabbed on to it. From here, I add some of Citadel's Technical paint, Typhus Corrosion. This has some grit to it and helps give the mini some texture, making your eye believe it's actually pitting and such. 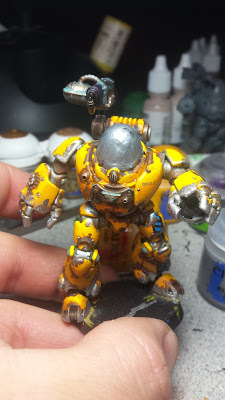 Once that's all done, a quick drybrush of Ryza Rust from Citadel adds a bit of bright orange to the mini's rusty sections. I decided to grab my Reikand Fleshshade and dabble that around the mini for a bit more red on the paint. It gave a nice effect of paint that was just starting to turn. But soemthing else was needed. So I got a hold of Greggles on Twitter. 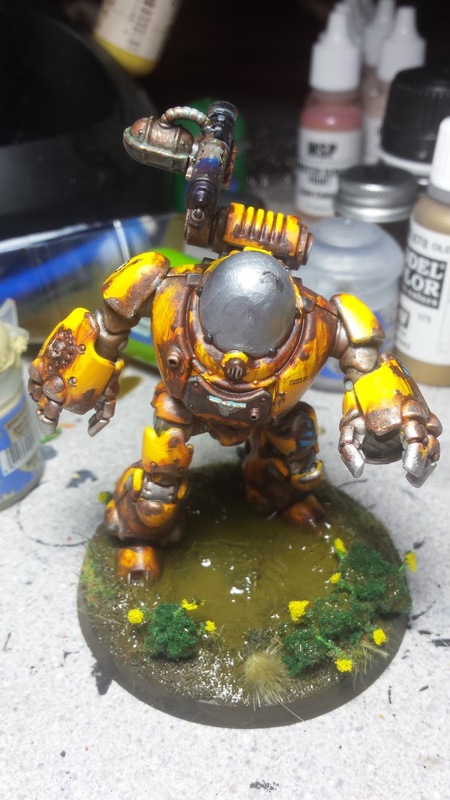 He's pretty much the man, when it comes to rust effects. 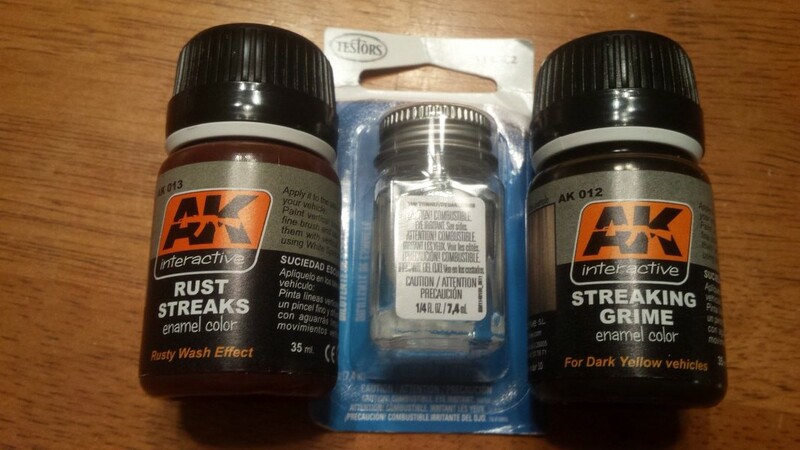 He hooked me up with a couple of eBay auctions of AK Streaking Grime and AK Rust Streaks, which are an enamel based wash. These things are sweet too! You paint them on and then with mineral spirits, you wipe it back with the brush. It gives a pretty solid streak effect as well. I started with the grime and put it in any spot where it would make sense and just started going to town. Then after that was finished, I went on with the rust. After doing the rust, I thought it probably would have been a good idea to seal the grime streaks though. Since I did notice the spirits taking away the previous layer when I was working on the new one. But either way, it turned out pretty good for my first attempt and no practice. When I finished the streaks, I glued him onto his base and added in the water effects. He's very nearly finished now. I just need to do his helmet, which I had previously stated that I was going to do reflections of his body armor on it. But! As an added treat, I made this .gif of the robot going from unpainted to rusted.